$99 USD. 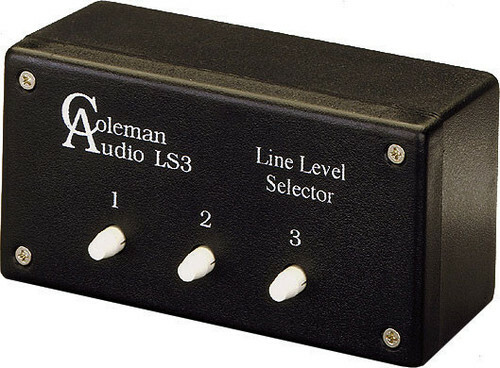 Coleman Audio LS3 Line Level Selector. Purchased new July 2013. Minimal use. Original packaging. This item is essentially brand new with minimal cosmetic wear on bottom from a piece of velcro.